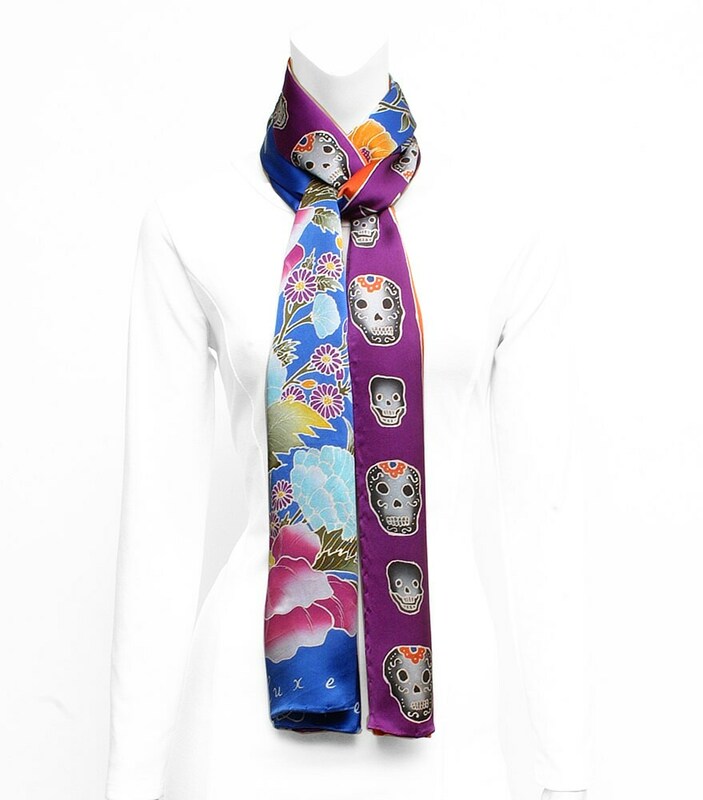 Simply gorgeous, unique very lovely and beautiful scarf inspired by spring flowers and day of the dead skulls. 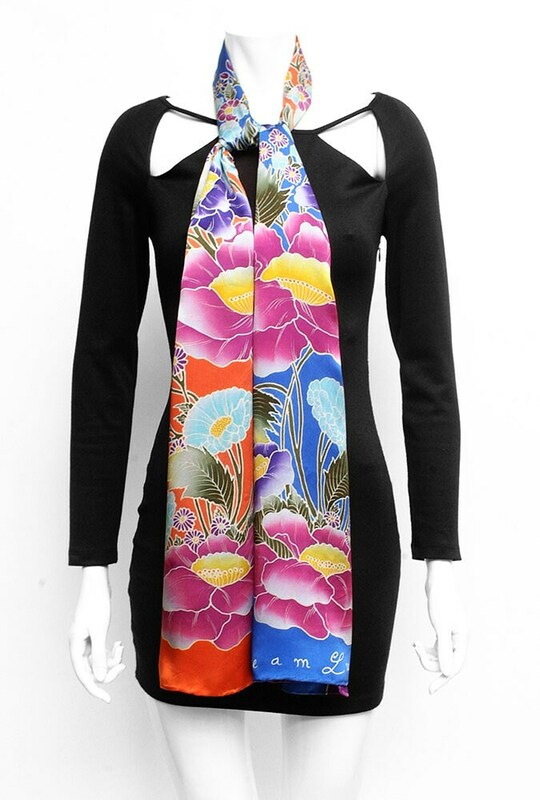 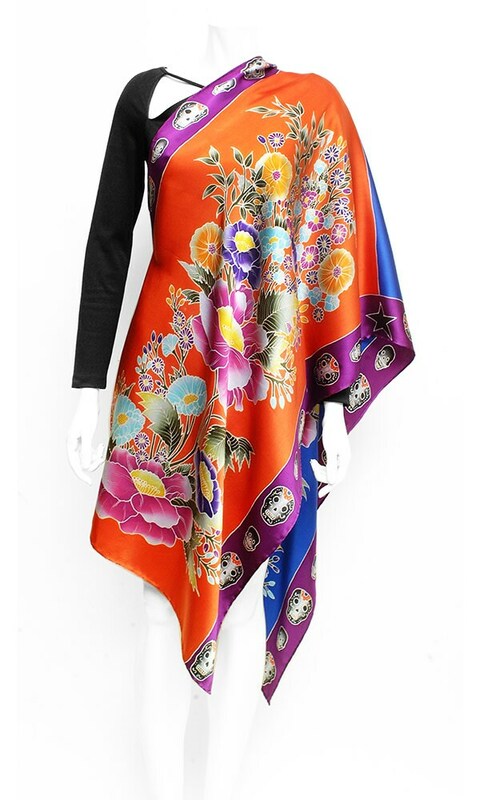 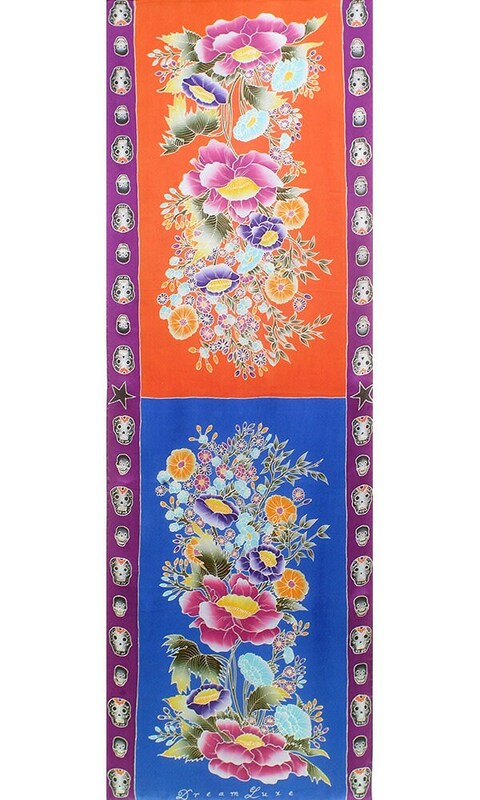 This floral long hand painted silk scarf has two different colored backgrounds on each end, blue and red/orange. 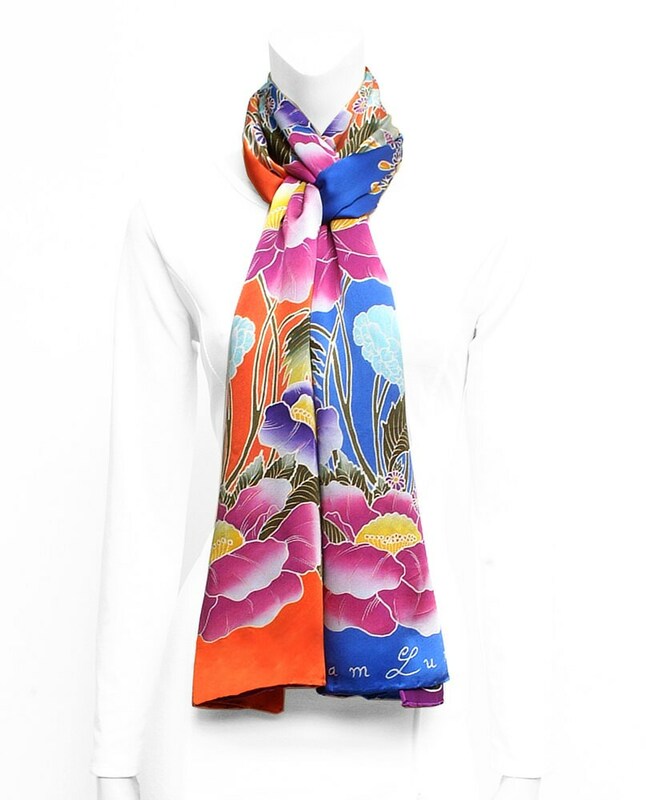 It is designed so you can achieve different color compositions depending on the way you wear it.